We take great pride in manufacturing and supplying a comprehensive range of Diamond Necklace Sets. 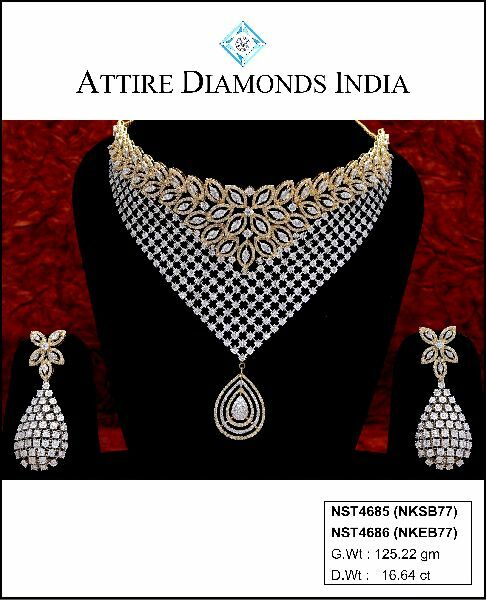 The Diamond Necklace Sets provided by us is designed in accordance with the ongoing market trends and requirements of the clients. 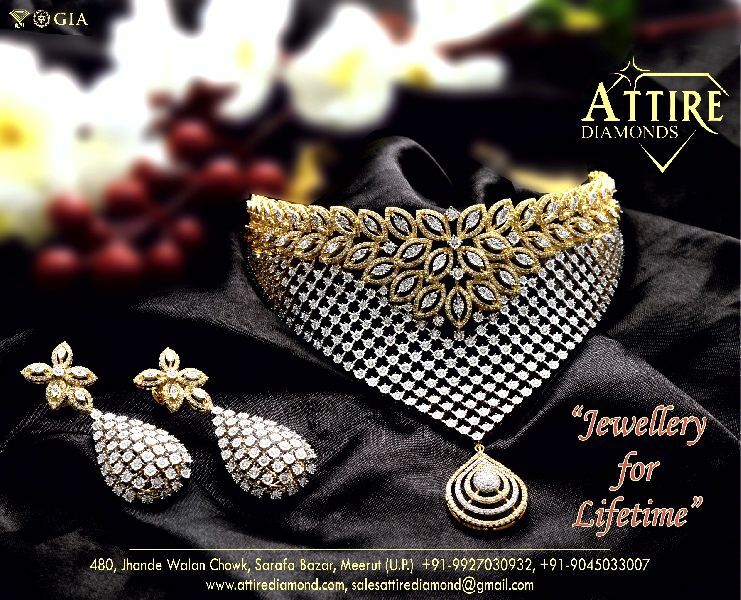 The Diamond Necklace Sets provided by us is hallmarked and certified. Available in the most exclusive style and antique look, our assortment of Diamond Necklace Set is a treasure to possess. 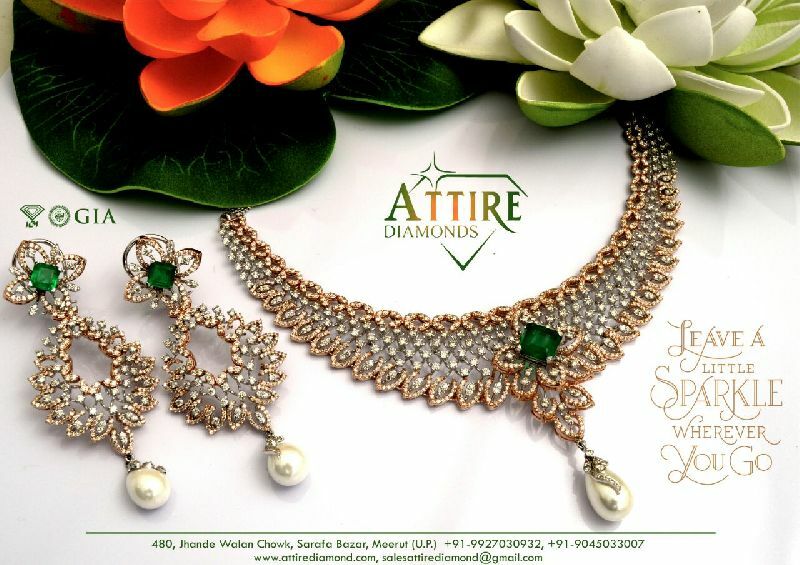 Owing to their splendid look, our Diamond Necklace Sets are in high demand.